While the NovaBirds Cam focuses on birds, I also wanted to share some of the other wildlife that I commonly come across where I live. This Summer has produced numerous caterpillars. I honestly don't think I have ever seen so many, as well as such a variety. I took as many photos as possible and tried to ID some of them. Here are just a few of the wriggly buggers that I've seen...(All identifications are thanks to DiscoverLife). 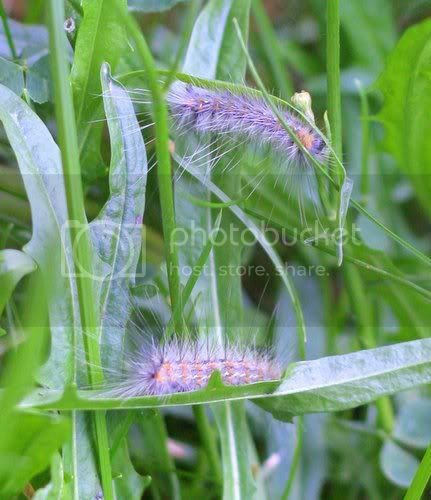 Some of the first caterpillars that started making an appearance around our yard were Fall Webworms. They're cute and fuzzy, but as their name suggests, they make webs. It's gross really. They'll pick a limb of a nice tree and completely cover it in webbing. Once complete, hundreds of them will live inside of it to further develop. It's very common to see their webs taking over large sections of trees around here. It's also common for the covered tree limb to die off. 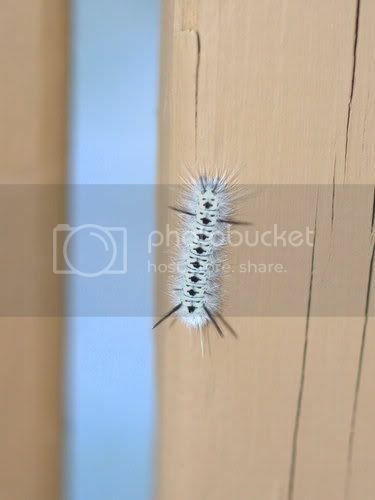 By far the most populous caterpillar has been those of the Hickory Tussock Moth. They've been all over our property for nearly a month, getting fatter and fluffier by the day. They're all over the house, our sheds, the grass and even the dog has brought them inside on his fur! They're actually very pretty caterpillars..but you can't let their cuteness fool you. Many folks who mistakenly pick up or touch these caterpillars end up with an allergic reaction! 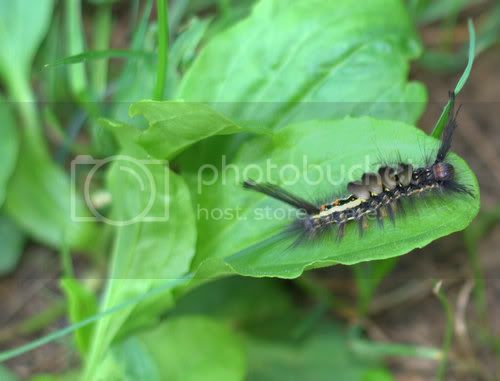 The hairs on these (and many other) caterpillars are irritants! I haven't seen any cocoons yet...I'm not sure how much bigger and fatter these guys need to get before they start cocooning! ..at least I *think* that's what this is. All the online pics look lighter than what I saw. This guy is much darker..but I can't find anything to match perfectly. I only saw these fellows around for a few days..and maybe saw about a half dozen in total. They're one of the more unique caterpillars I've come across though! Look at that hair-do! Definitely one of the more stylish caterpillars in the insect world!